The River Café is one of London’s most well-respected restaurants, and Christophe Decoux is the venue’s leading sommelier. 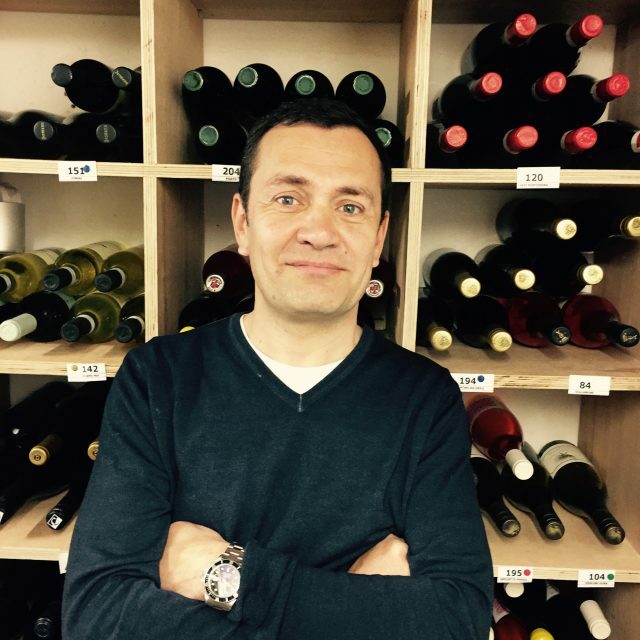 Having trained as a mechanical engineer, Christophe moved to Paris in 1994 and slowly, as have so many others, became enmeshed in the world of hospitality, dining and wine. Two years later, having worked at a few restaurants, he spread his wings to London, which was experiencing a food revival that would ultimately help lay the foundations for the dining scene we enjoy to this day. Christophe worked for the front-of-house team for Gordon Ramsay at Aubergine, then for Rowley Leigh at Kensington Place. In 2000 he found himself at The River Café, run by the founders Ruth Rogers and the late Rose Gray. It was here, Christophe has remarked, that he really discovered the joy of wine tasting, which he enjoyed with Rose’s son, Ossie. Having completed his wine qualifications, he and Ossie set about creating what is arguably London’s best list for Italian wines. It features all the very best names of Tuscany and Piedmont you might expect – Antinori, Conterno, Gaja, Sassicaia, Frescobaldi, Giacosa and so on – but Christophe has also tracked down the small gems that make Italy such a vibrant place to explore, viticulturally. Alongside the noble Nebbiolos and stately Super Tuscans are wines from Etna and Friuli, light reds made from Refosco and Schioppettino, southern Italy’s Fiano, Greco di Tufo and Aglianico, and Josko Gravner’s much sought-after ‘orange’ wines made from Vitovska. A small selection of Champagne is a nod to both Christophe’s real roots as well as Britain’s love for the greatest of all fizz, but there’s also a selection of Franciacorta for those intrigued by what’s happening on the other side of the Alps. The selection of wines served by the glass is extensive, and changes with the seasons and the menu. Truly, there is almost no better place in London for the Italian wine lover to lose themselves.